Just as it often takes a foreign director to cast a fuller light on a country’s strengths and failures, so it took an atheist to make the purest, most believable and, strangely, most devout film about the life of Christ. Taking his dialogue direct from the gospel and shooting in neo-realist style on found locations in southern Italy, the agnostic communist homosexual writer-director Pier Paolo Pasolini created an unadorned, deeply moving, at times even persuasive retelling of the scripture. 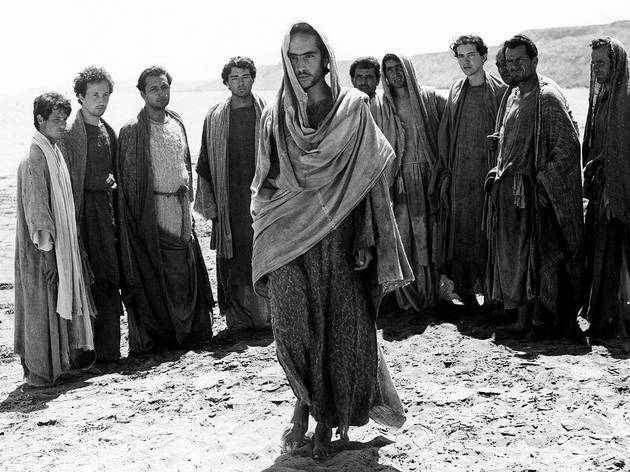 For Pasolini (as, indeed, for the early Christians), Jesus is the consummate revolutionary, standing firm against religious intervention, government crackdowns and the doubt and mistrust of his closest friends. But importantly, and in contrast to the many pastel-hued pomp-and-circumstance religious epics then being produced across the pond, Pasolini never asks us to take this story as ‘true’. He simply presents the tale as it was told to him, with all its inconsistencies, inaccuracies and idiosyncrasies intact. On the film’s release in 1964, the director spoke of his ‘nostalgia for belief’, and a sense of wonder at the beauty and truth contained within the Bible – coupled with a deep sense of sadness at its ongoing corruption – fills every frame. The result is a breathtakingly beautiful, honest and emotional account, which should please Christians and non-believers alike. 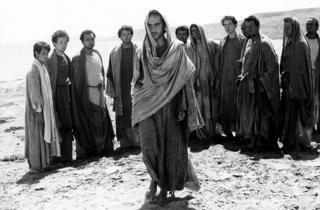 An amazing document utlizing material from Mathew's Gospel using unknown actors and non-acting native people and filmed in and around villages in southern Italy.This is Pasolini at his peak burning with Marxist anger,bringing a very real aesthetic to bear using a very political and believable Christ. This is the only Christ we deserve in the modern world.